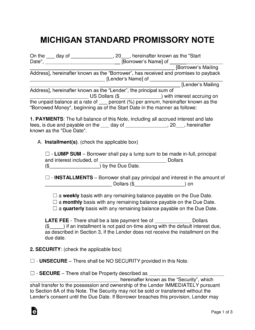 The Michigan promissory note templates are forms used to help ensure a lender of a monetary balance is reimbursed the amount plus interest in a timely and orderly fashion. To motivate the borrower for making payments, both parties will agree on details regarding late fees, default interest rates, acceleration time frames, and items for security. Secured Promissory Note – Is incorporated with security, which means the lender is guaranteed an item such as a home, vehicle, boat, etc. if the borrower cannot reimburse the loaned amount. 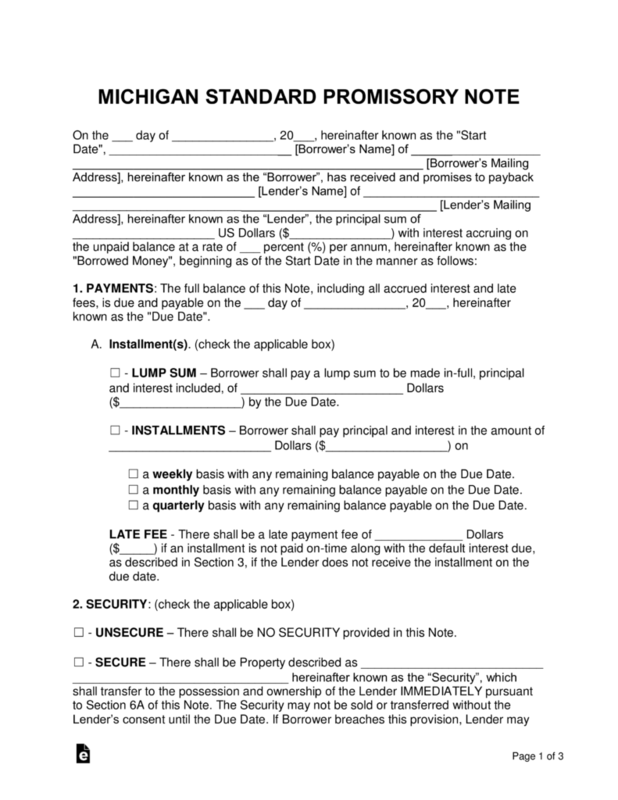 Unsecured Promissory Note – Does not include security, meaning the lender is at risk for losing the balance of the note. If the borrower were to go into default on the balance, the lender would only be able to take the borrower to small claims court. To prevent this situation, the lender should only enter into an agreement with family, a friend, or an individual with great credit.